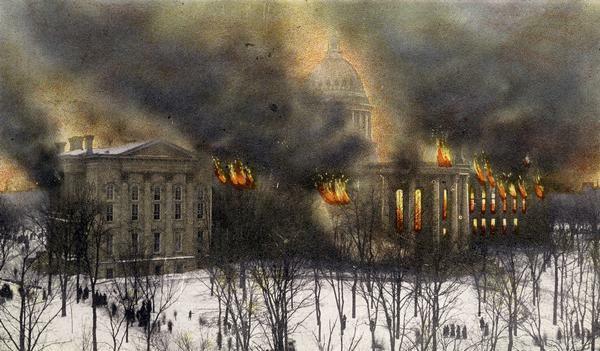 Postcard depicting the fire of February 26-27, 1904 that destroyed most of the second Wisconsin State Capitol. The smoke and flames have been dramatically enhanced by the postcard publisher. See also original photograph by E.R. Curtiss, Image ID: 1906.